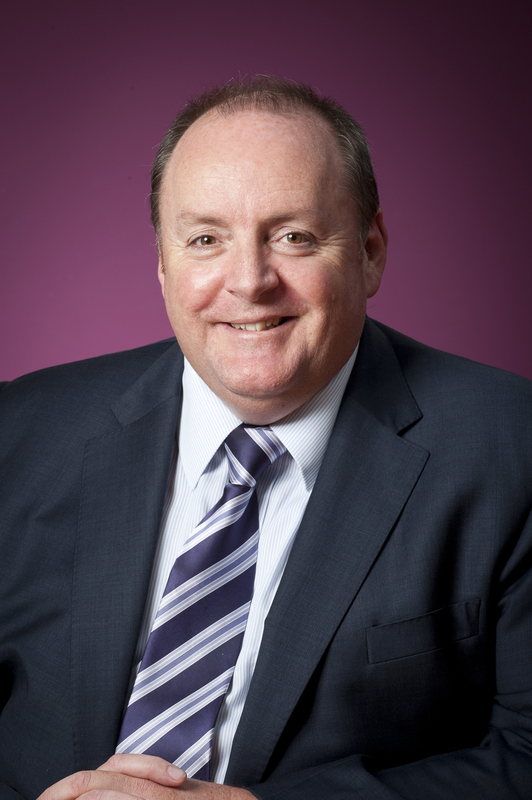 5th September 2012, Manchester UK – The SKA Organisation Board of Directors is very pleased to announce the appointment of Professor Philip Diamond as Director General of the SKA Organisation. Professor Philip Diamond has been appointed Director General of the SKA Organisation. Professor Diamond will provide overall leadership for the SKA Organisation, the international coordinating body for the SKA telescope. The SKA will be the largest and most sensitive radio telescope ever built; it will enable astronomers to glimpse the formation and evolution of the very first stars and galaxies after the Big Bang, investigate the nature of gravity, and possibly even discover life beyond Earth. “The SKA telescope is now moving from technology concept to the final detailed design. I am humbled to have the opportunity to lead the SKA Organisation during this exciting time and to work with colleagues around the world to realise the science vision of the SKA.” said Professor Diamond, commenting on his appointment. Professor Diamond will lead the pre-construction phase of the SKA, with the goal of realising construction readiness at the end of 2015, and preparing for the construction phase to follow. He will develop and maintain strategic relationships with national agencies, partners, governments, industry and other private sector entities, along with all other project stakeholders. Professor Diamond has 30 years’ experience in the field of radio astronomy and a long standing involvement in the Square Kilometre Array radio telescope project. Professor Diamond will move from his current position as Chief of CSIRO Astronomy and Space Science (CASS), Australia in October 2012 to lead the SKA Organisation from the new headquarters at Jodrell Bank near Manchester, UK. Professor Diamond has worked as a professional astronomer in five countries (UK, Sweden, Germany, USA and Australia) and has been the Director of two leading radio astronomy organisations: Jodrell Bank Centre for Astrophysics and CSIRO Astronomy and Space Science (CASS). In his current role, as Chief of CASS, Professor Diamond directs the operation of two major facilities: the Australia Telescope National Facility (ATNF: comprising Parkes Observatory, the Australia Telescope Compact Array and the Mopra telescope) and the Canberra Deep Space Communications Complex (CDSCC) at Tidbinbilla, part of NASA’s Deep Space Network. In addition, he is responsible for the team designing and constructing ASKAP, the Australian SKA Pathfinder, currently being built in Western Australia. He first became involved in the SKA in 2000, shortly after his return to the UK from 12 years at the NRAO in the USA, when he organised one of the early meetings of the International SKA Steering Committee (ISSC). Since that time, he has been heavily involved in various SKA activities. 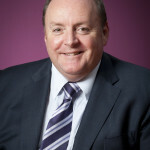 He was one of the longest-serving members of the ISSC, which later became the SSEC, and chaired the committee in 2005/6. Professor Diamond will succeed Dr Michiel van Haarlem, the interim Director General, who has been in the position since the establishment of the SKA Organisation as a UK company limited by guarantee in December 2011. 10 000 times the survey speed, of the best current-day telescopes. 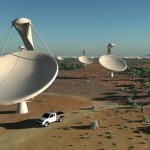 The SKA will be built in Southern Africa and in Australia. Thousands of receptors will extend to distances of up to 3 000 km from the central regions. The SKA will address fundamental unanswered questions about our Universe including how the first stars and galaxies formed after the big bang, how dark energy is accelerating the expansion of the Universe, the role of magnetism in the cosmos, the nature of gravity, and the search for life beyond Earth. The target construction cost is €1,500 million and construction of Phase one of the SKA is scheduled to start in 2016. The SKA Organisation, with its headquarters in Manchester UK, was established in December 2011 as a not-for-profit company in order to formalise relationships between the international partners and centralise the leadership of the project. Image caption: Professor Philip Diamond. 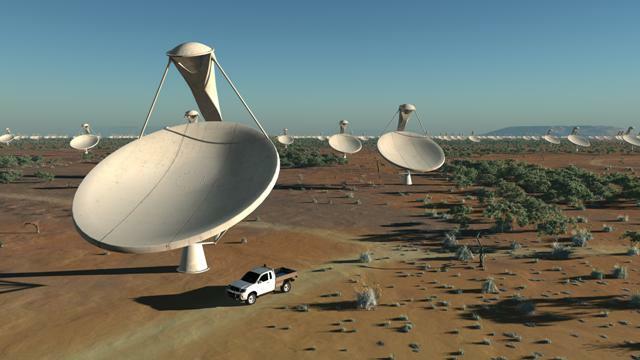 Image caption:Artist’s impression of the SKA dishes. Credit: SKA Organisation/TDP/DRAO/Swinburne Astronomy Productions.